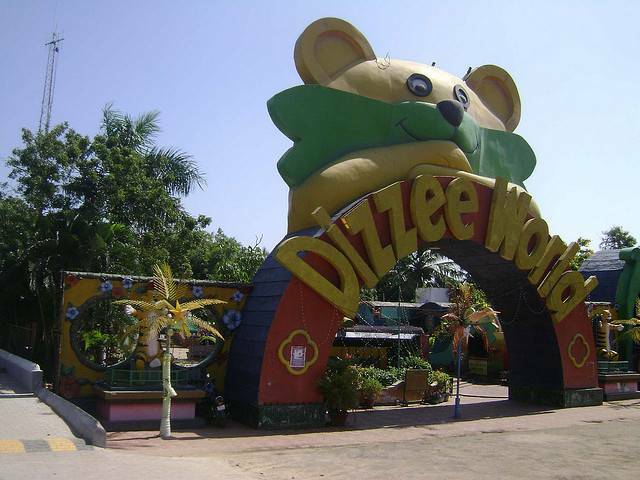 MGM Dizzee World is an amusement park located on East Coast Road nearby Chennai. There are many rides and activities in MGM Dizzee World. Log flume, Giant Wheel, Spider Spin, Funny Mountain, Water sports, Car dashing are few attractive features of this park. Beside regular rides and activities, the park arranges some of the seasonal shows like dancing shows, magic shows etc. The Snow Valley which has snowcapped mountains is where we can enjoy the artificial snow fall is the special feature of MGM Dizzee World. Restaurants, locker rooms, food courts are present within the park.